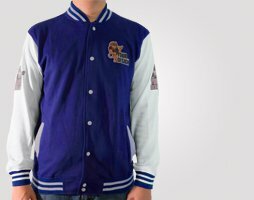 Nowadays, varsity jacket is a must have item. 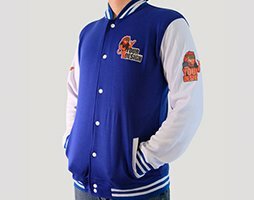 Worn as outerwear, a jacket that has different color sleeves from the body color and 2 front pockets, is always nice to be mix-and-matched with any shirts. 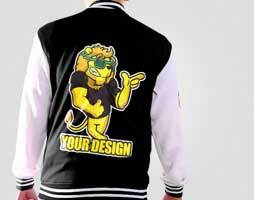 Going to school, hang out, and chill will be better if you wear varsity. 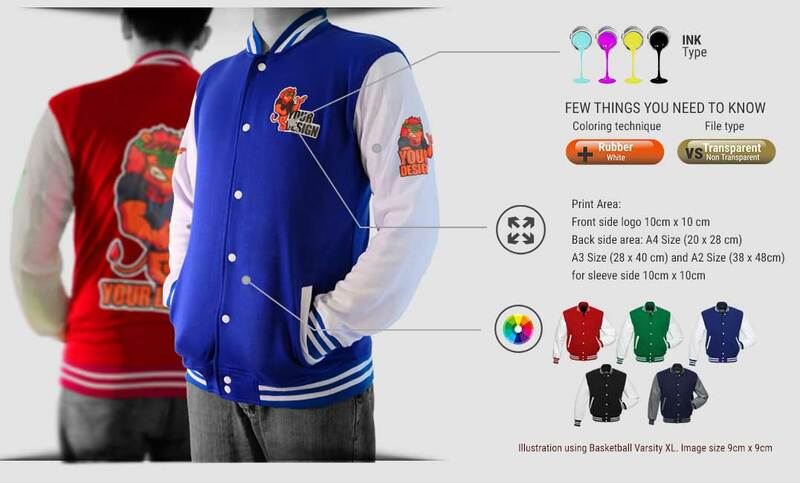 Our varsity jacket is made of high-quality double face fleece which is not hairy on the inside, soft, warm, but not really hot when it is worn which is comfort. 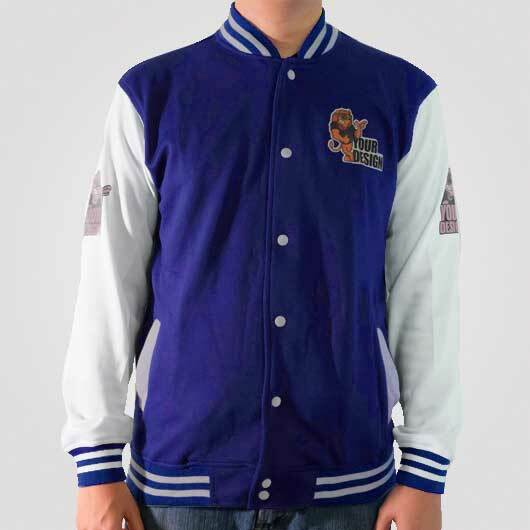 The color of our varsity has a consistent level stability so it will not fade when it is washed, another thing that makes this item durable. 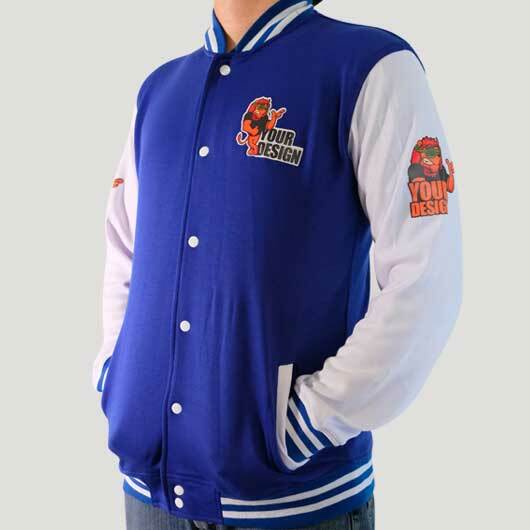 Completed with buttons colored as the sleeve color. 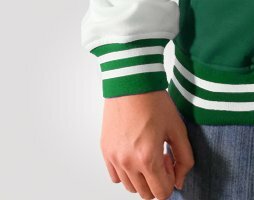 The connection between sleeve and body are strongly and neatly stitched with the right stitching type. 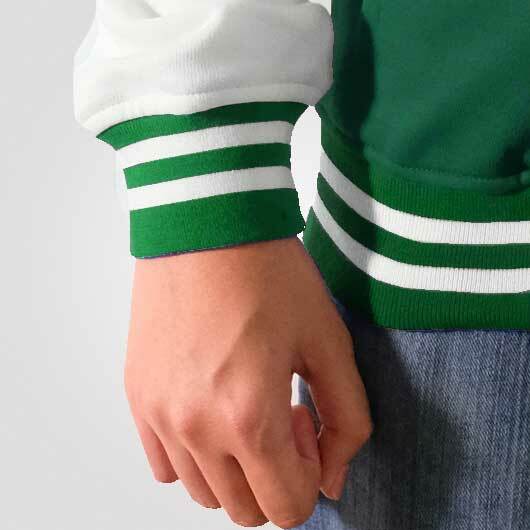 The sleeve edges, collar, and down edge are embedded with elastic rib, one of the varsity uniqueness. 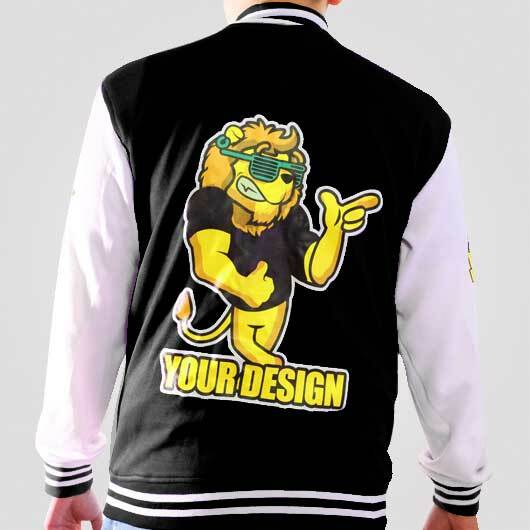 Get your design uploaded today and we will deliver your own design varsity in a fast process as it is produced by collaborating best ink, material, advanced technology, and talented skill.